Airfrov, a platform that connects buyers with travellers for requesting products from abroad is now expanding its market reach to Indonesia – a strategic move responding to the opportunities in the increasing numbers of travelers that are crossing Indonesian borders. Based in Singapore, the startup launched in 2015 has been operating for a year and a half, before it began expanding its businesses into Indonesia that has started since last August. But entering Indonesia, Airfrov will be facing competition from existing peer courier services such as BisTip and Neetip. “This trend of bringing back overseas products is getting popular, but there are some issues concerning the conventional process, for example, the limited number of products that can be sent, the long duration of delivery, the payment guarantee, and the high delivery fees,” said Airfrov, CEO Cai Li. In response to the competition, Airfrov intends to set itself apart from other P2P courier services, through offering a safer solution that prioritise the needs of users. Through its website and mobile application, Airfrov offers a simple way to shop abroad. Requesters simply post the desired items and offer a price quote, while Travelers abroad who are interested will meet the demand. Additionally, the company will handle the payment from the requester and keep it until the items have been paid for. Travellers will receive their money only after the products have arrived in the requesters’ hands. Besides, Airfrov also features information on the latest trends and popular existing products abroad. “We are currently focusing on building the best user experience for our users in Indonesia and a strong local team to understand the people’s culture and local trends more deeply,” said Airfrov CTO Robi Ng, who is an Indonesian. In this aspect, Airfrov also continued their efforts through approaching users who have used their services in order to get input related to Airfrov development as well as maintaining relationships in order to re-use the service and recommend it to people nearby. Airfrov is said to have more than 95,000 active users, some of whom reside in Indonesia. Its soft launch event held in August has claimed to have received more than 1,000 offers from 150 travelers. In an effort to continue increasing the number of users in Indonesia, Airfrov has partnered with Martha Tilaar, a homegrown cosmetics company. This partnership is in part due to the potential of the beauty school student who requires imported beauty supplies not found in Indonesia. “Those who need products that are outside the country is expected to see Airfrov as a solution,” Cai Li adds. Luye Pharma Group Ltd. (02186.HK), a professional pharmaceutical enterprise focused on R&D and manufacture of innovative pharmaceutical products has announced the completion of its acquisition of the transdermal drug delivery systems (TDS) business, Acino which is located in Zurich, Switzerland, according to a press release. Acino has established itself as a global leader in the niche transdermal markets. The company is said to be one of the largest independent TDS manufacturers in Europe, with a product portfolio primarily focused on higher margin specialty patch categories such as central nervous system (CNS), pain and hormone spaces. Some of the company’s notable commercialized and complex formulations include Rivastigmine, Buprenorphine, Fentanyl and fertility control patch. Post acquisition, Acino will retain the marketing rights to certain of these patched in strategic emerging markets. The transaction saw Luye Pharma acquiring the TDS business from Acino, through the purchase of the entire issued share capital of Acino AG and Acino Supply AG for an amount of €245 million (about US$260 million). This acquisition will allow Luye Pharma to learn and adopt practices from the integration of its acquired business. Greatly enhancing Luye Pharma’s developmental efforts in R&D, manufacturing, international registration, and market promotion of new formulation products to international standards. In addition, the TDS business, with its high-quality factories with EU GMP certificate and certification from the U.S. FDA, will help Luye Pharma in meeting and exceed international standards in production, quality control, and global operations. At the same time, Acino with its mature sales network and international presence in many developed markets around the world – especially the European region will definitely aid the giant pharmaceutical enterprise to pave the way for its mission of globalization. The global market sales of transdermal patches reached over 5 billion Euros in 2014 and are expected to hit 6.4 billion Euros by 2020, with a projected compound annual growth rate greater than 4%1. The global market for TDS business is huge with strong growth potential. It would also appears that Luye Pharma is leveraging its growth on M&A as Luye Pharma has also previously acquired Healthe Care Australia in April this year for an undisclosed amount. Acino, which acquisitions has begun since July is, in fact, its second acquisition. Still, Luye Pharma, the leading Chinese pharmaceutical enterprise will continue to serve and promote human health through professional technology, especially when the China mainland is an emerging market which is facing the challenges of an aging population that are accompanied by potential patients of chronic diseases, which represents a substantial market for TDS. At present, there are currently 260 million people suffering from chronic diseases in China. Despite that, the company is moving forward and working to develop Luye Pharma into one of the most respected leading global pharmaceutical enterprises in the world. The enterprise, since inception, has adopted innovation, being one of the pioneering Chinese pharmaceutical enterprises to have conducted clinical trials in international markets. 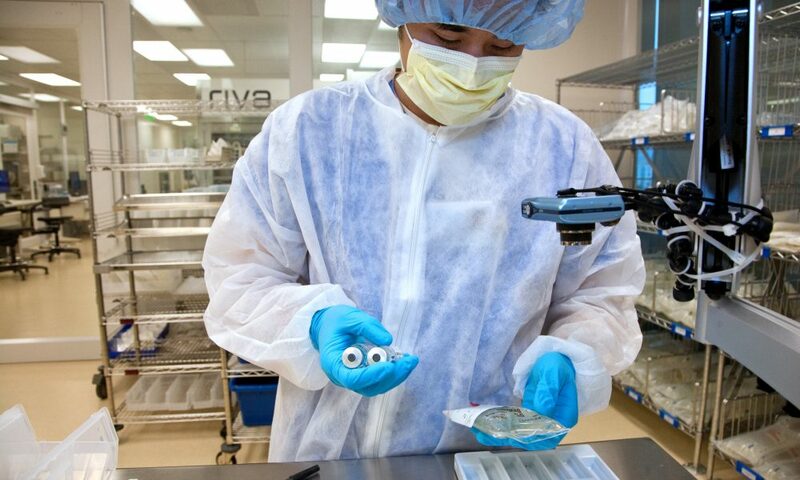 Luye Pharma currently has 5 innovative products at various stages of clinical research with significant breakthroughs in the U.S.
On a similar note, Luye Pharma is backed by CITIC Private Equity, which 5.92% ownership of Luye Pharma Group remains unchanged since 2014, according to the company’s 2015 annual report. Combining walking with every Malaysians’ favorite cultural pastime – getting discounts, BookDoc is introducing BookDoc Activ, an excuse much needed to start your exercise plan. This is a new collaboration where BookDoc will have an ongoing partnership with major retailers and service providers which share the same theme – that is three well-known healthcare brands in Malaysia, namely Guardian, La Juiceria and Kfit to reward BookDoc Activ users for their daily steps. Users are required to hook the app to a pedometer application and start walking until they reach a daily step threshold. With accumulated points, they can then trade it for the offer they desire. Simply put, the app is an incentive for people to start living a healthier life. Though BookDoc Activ is promoting the prevention is better than cure approach, the application designed by Dato’ Chevy Beh, a former Managing Director of BP Healthcare Group, BookDoc is originally intended to bridge the gaps in informational asymmetries and reduce inefficiencies in healthcare. That is to say, BookDoc acts as a platform that can be used to help immediately connect patients in need with healthcare experts who can assist anytime and anywhere – its significance lies in the gift of time that can create a life and death difference. But that is not all to Dato’ Chevy’s BookDoc as the application also serve another purpose, having partnered with Agoda in July, to help patients with doctor appointments that require traveling. With this feature, it can cater to the needs for booking a doctor’s appointment as well as the accommodation at the same time, through a single app. Though looking back at BookDoc Activ, this new feature is a strategic one as well. As this move not only allows BookDoc to expand their target group since even healthy people now have a reason to download the app but the application through this access to a wider audience can create an awareness of the app among Malaysians. Additionally, BookDoc has expanded its reach to Singapore, Hong Kong, and Thailand. And although BookDoc offers rewards, acommodation booking, and a healthcare platform, in the simplest terms, BookDoc, as a whole, is an online platform that aims to create a healthier Malaysia, addressing the public’s health problems. 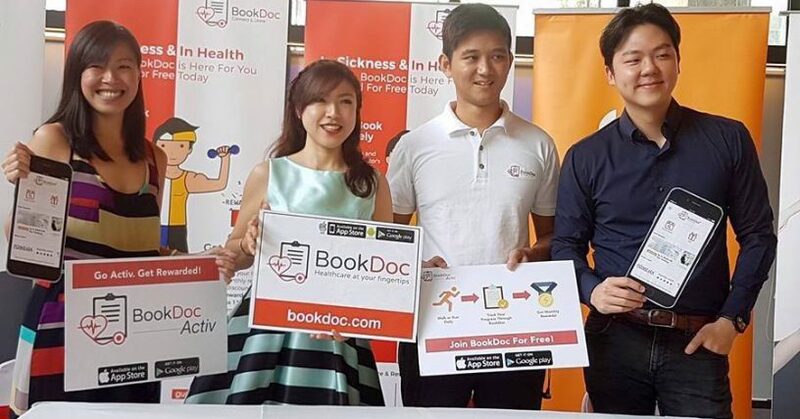 “BookDoc’s objective is not only to provide a seamless platform and access to medical services but is also about taking care of healthy people, as much as we take care of the medically less fortunate, and we believe in rewarding them for staying healthy and active,” said BookDoc founder Datuk Chevy Beh. The healthcare app is also planning to roll out more discounts with their partner in stages, so users can be on the look out for updated deals. 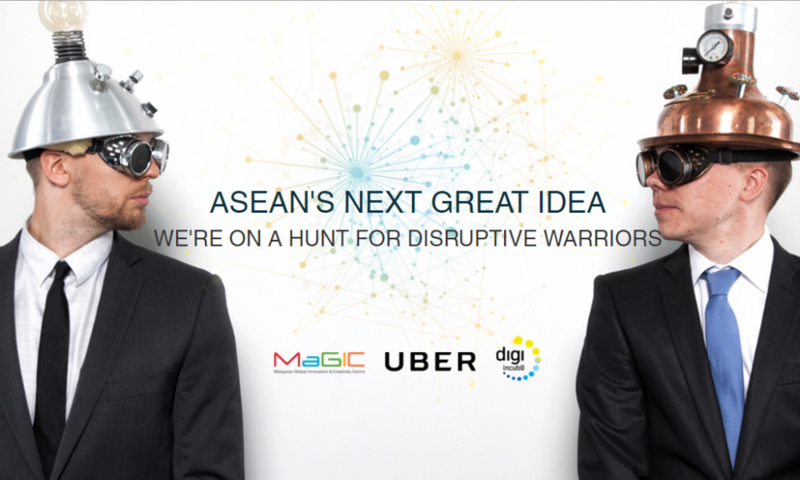 Malaysian Global Innovation and Creativity Centre (MaGIC), ride-hailing app Uber and Telecom operator Digi have initiated an ideation lab whereby 20 startups throughout Southeast Asia will be groomed to be investment-ready and this does not require any equity from the participants. A few selected ones will also proceed to the next round and be given the chance to meet early stage investors. The program is a six-day initiative known as “ASEAN’s Next Great Idea” which will conclude on November 30. Mentors at the MaGIC include Chelsey Lepage, Innovation Lead at UNICEF, Prashant Pathmanaban, Head of Technology at Google and Michael Octoman, Partner at Navis Capital, among others. “During the program, the top 20 startups – shortlisted from a pool of 417 applicants – will learn how to develop three key aspects of their future business which are their customer, product, and market,” MaGIC said in an announcement on Tuesday. Additionally, the lab will also provide participants with direct access to the best resources in the ecosystem: MaGIC’s expertise in building entrepreneurs, Uber’s real world experiences, and Digi Incub8’s strength in startup strategy. All these will help the entrepreneurs to fine-tune their ideas or concepts and create a working prototype, preparing them for the next stage of seed investment and funding. Following this, the top 10 participants will present their refined business ideas to key executives from MaGIC, Uber, and Digi at the Global Entrepreneurship Community event on December 8 in Kuala Lumpur. Furthermore, qualified ideas will have the opportunity to meet early stage investors and key players within the entrepreneurship ecosystem in San Francisco, as well as a visit to Uber’s Silicon Valley headquarters. “I hope with programs such as ASEAN’s Next Great Idea lab, more and more individuals are encouraged to come forward with their ideas and develop them further. The emergence of new ideas is what keeps our entrepreneurship ecosystem growing,” said MaGIC CEO Ashran Dato’ Ghazi. With this, ASEAN’s startup ecosystem will continue to thrive with ideas that can dramatically shape people’s digital lifestyles with their smart devices. While the role MaGIC plays is through instilling an entrepreneurial mindset where solving a problem is at the heart of any startup. “The ambition now is to help translate the growth potential of these ideas and startups into creating long-term, sustainable businesses,” Digi’s Chief Digital Officer, Praveen Rajan added.